Contemporary indoor planting is not new but it is surprisingly hard to find the right pots that lend themselves to a modern decor that stay in an inexpensive price range. 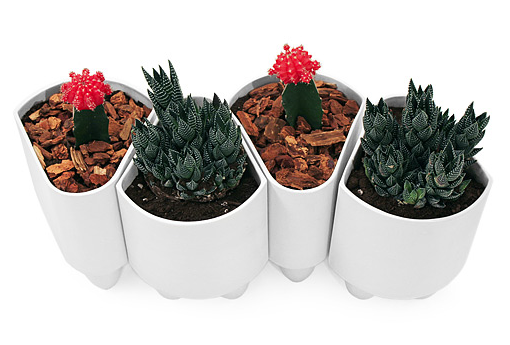 These white ceramic modular planters designed by Andrew & Richard Erdle are perfect for multiple arrangements that maintain a unique yet uniform look. Available through uncommon goods.